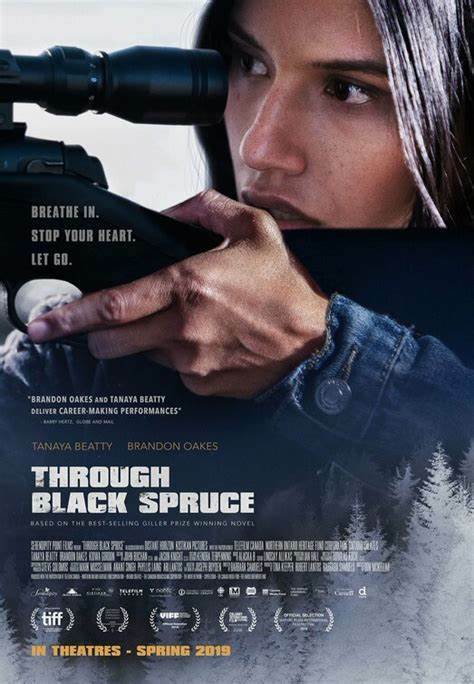 Big Film Fest presents: Through Black Spruce. Screening at the Norgan Theatre in Palmerston on Monday, April 15, 2019 at 7:15 pm. 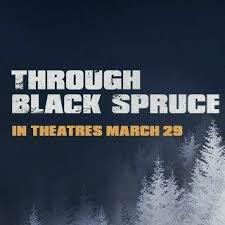 Through Black Spruce is directed by Don McKellar and it stars veteran Indigenous actors Graham Greene and Tantoo Cardinal. With newcomer Tanaya Beatty as Annie. Tanaya stars as the twin sister of a Cree model, who has moved from Moosonee to Toronto and has gone missing. The disappearance of the young woman triggers events in two worlds. The remote Northern Ontario town she fled years ago, and the big city where she became a successful model. Simultaneously her uncle is in conflict with local drug dealers and believes he knows where she is. Meanwhile, her fiercely independent twin sister Annie travels to Toronto to retrace her sibling’s footsteps… and finds herself drawn into the seductively glamorous life Suzanne left behind.